The first full day of our vacation in Florida it only made sense for us to spend the day at Kennedy Space Center (KSC). 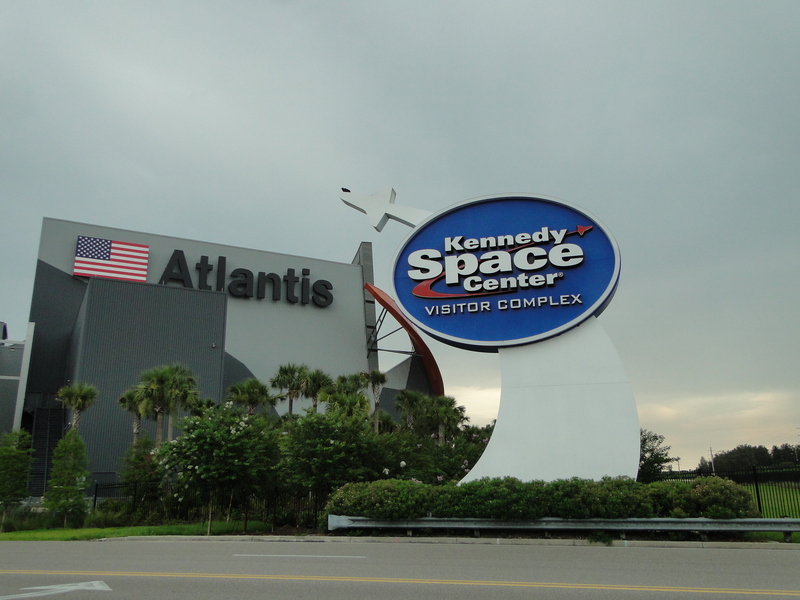 As we drove into the facility we were met with a huge sign that was overshadowed by a large ominous building that we would learn soon housed the Atlantis itself and the interactive exhibit dedicated to the NASA Shuttle Program. 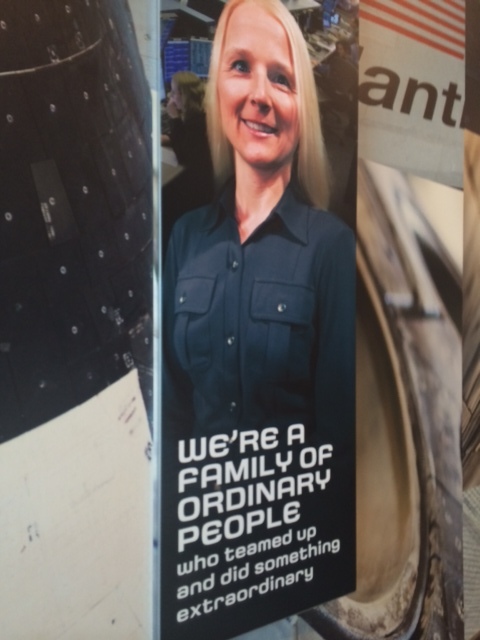 You then entered a room where the history of how the Shuttle program began was shared. All I can say is that you have to see it. 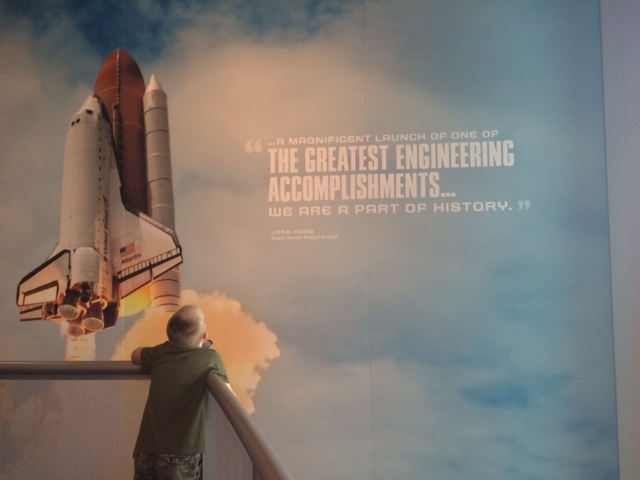 The story of the birth of the Shuttle program made this 80’s baby tearful and proud. The introduction into the exhibit was breathtaking. When the magnificent production concluded the screen lifted and at eye-line you were met with the actual Atlantis Shuttle in all of its magnificence. There were many points of interest in the exhibit. 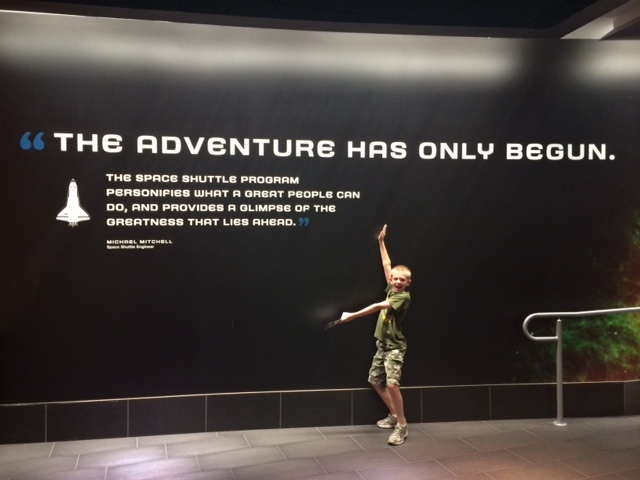 The kids loved the unusual facts that were part of the entire exhibit. They also enjoyed the interactive displays, including the touch screens and simulators. Kritterman loved the slide that took you to the bottom floor as well as the toilet. Emmarie enjoyed the opportunities to sit in a model of the cockpit and see how astronauts ate in the Unity room of the the Space Station. The time flew by and before we knew it we needed to be at our very special planned lunch with an astronaut. 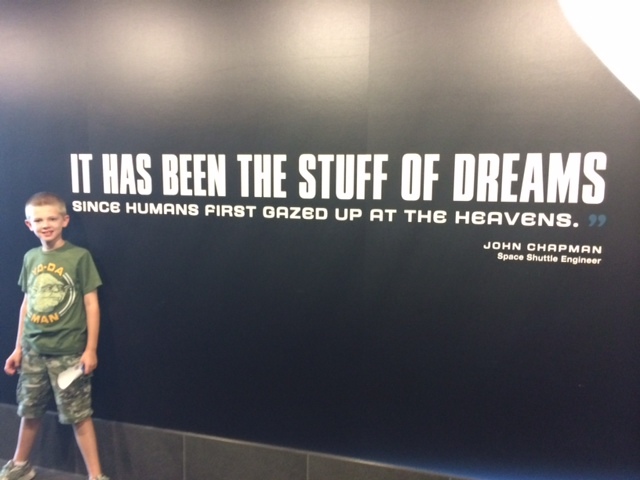 This is something that can be purchased as part of the visit to KSC. It was a great day to select this opportunity, as KSC was celebrating the 45th anniversary of Apollo 11’s walk on the moon. Their contemporary, Jack Lausma, entertained us with stories and his own mission experiences, including being the only astronaut to land at the alternative White Sands, New Mexico location as lead on Columbia. Kritterman even got to ask the astronaut a question during a brief Q and A at the lunch. His question, “On one of your flights did anything get damaged where everything shut down?” Fortunately, not for Lausma, although he did mention others had not been so lucky. Following lunch, we took a tour of the various points of interest that NASA utilizes for the space program including the famous launch pad where it dons the largest American flag in the world. After the tour we had one last opportunity to see Astronaut Jack Lausma again. This time we got to speak with him and get his autograph. He mentioned in the brief conversation he had recently eaten dinner with Jim Lovell (Apollo 13) and his wife. 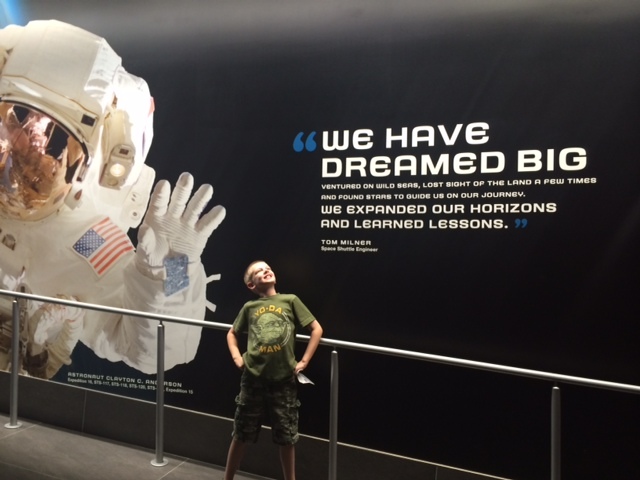 He also encouraged Kristopher to become an astronaut and stressed to me as an educator how important it was to continue to foster a love and pursuit of the study of math and science. This was an experience the whole family won’t soon forget.